Seattle Mariners' scouting report on minor-league prospect Shon Ashley: "Five-tool player. Of course, one of those tools is a hammer and another is a wrench. 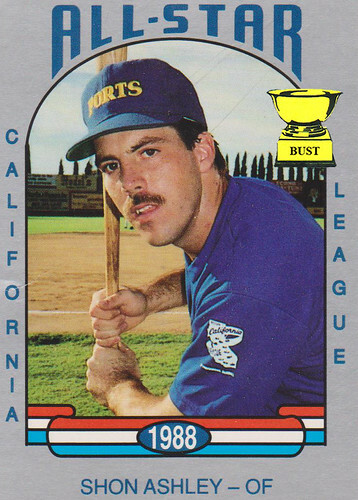 ... Minor-league 'stache, big-league arm hair. ... Tough to evaluate anyone in a uniform like that. ... Decent argument to bring him up just to get the poor guy out of Stockton. ... Could distract the pitcher if he actually bats like this. ... Not sure we want anyone on our team who spells 'Shon' like that."